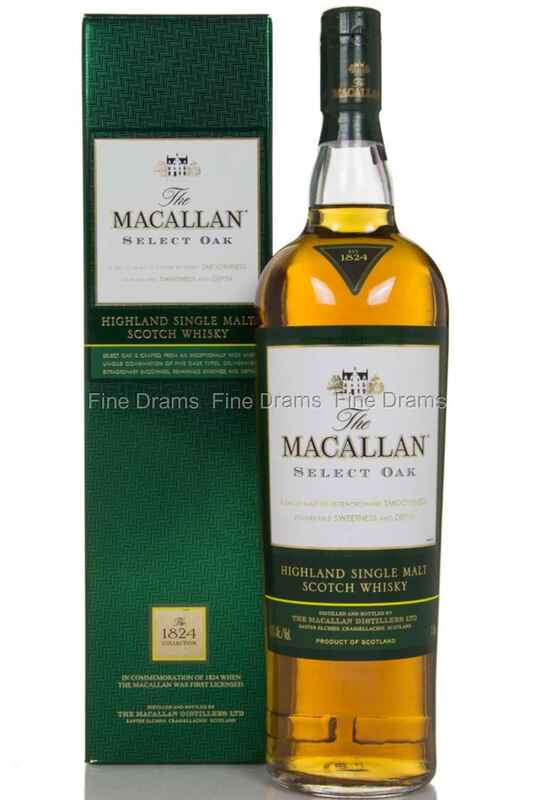 Released as part of Macallan’s highly acclaimed ’1824’ collection, the Macallan Select Oak is a rather interesting single whisky which has been crafted from no less than 5 (!) different cask types. What types of casks, you say? Unfortunately, that information is not disclosed. It comes in a 1 liter bottle, so you will have more than plenty time to explore this wonderfully complex single malt.